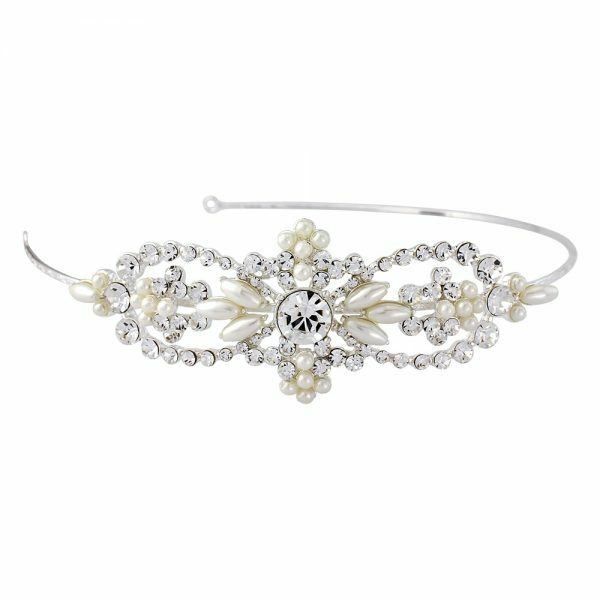 Ivory and Co Amy Hair Vine. 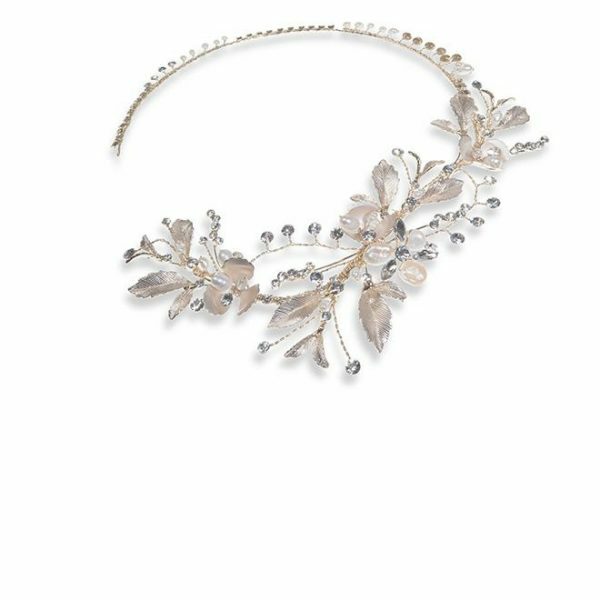 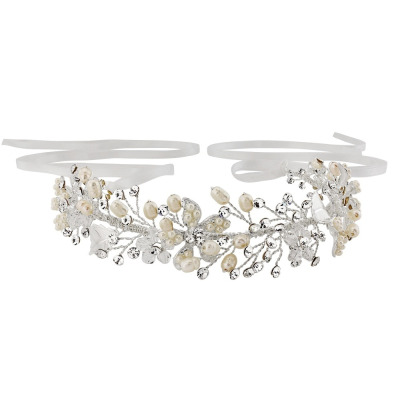 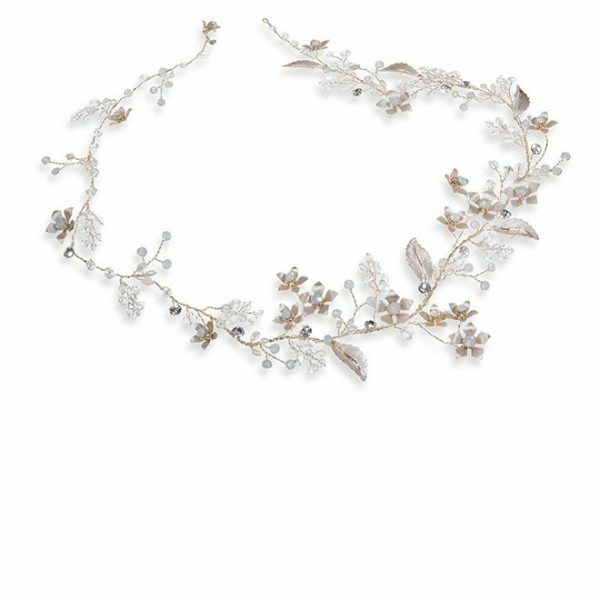 A versatile headpiece with trailing vines of freshwater pearls, filigree metal leaves and sprays of clear crystals for an organic and Boho inspired feel! 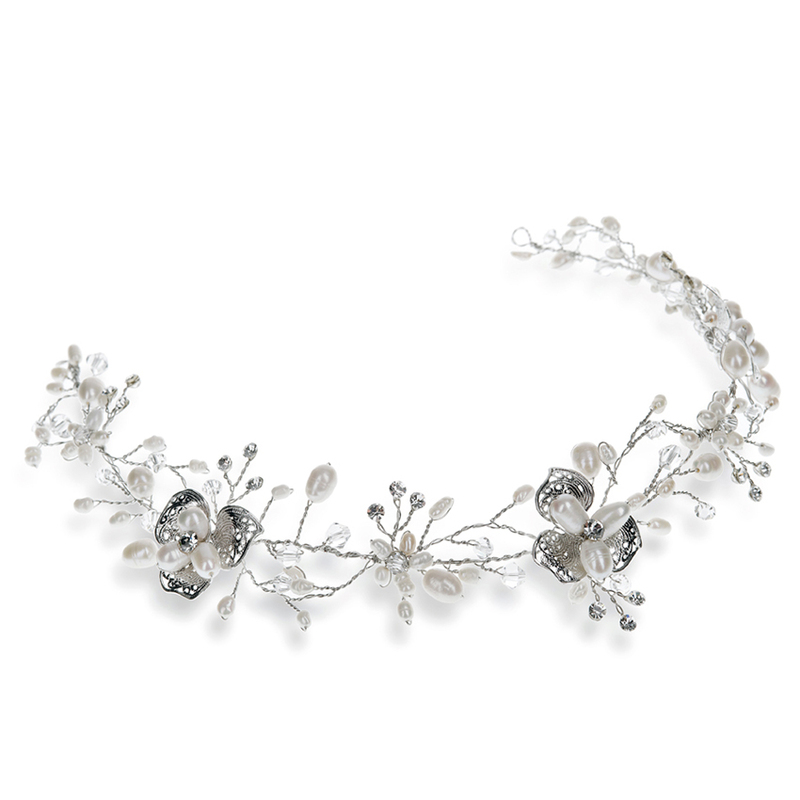 Detail Width at widest point: 3.5cm approx. 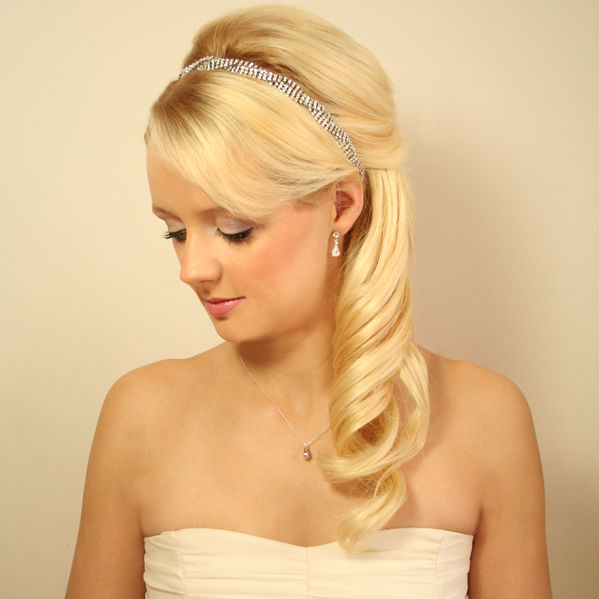 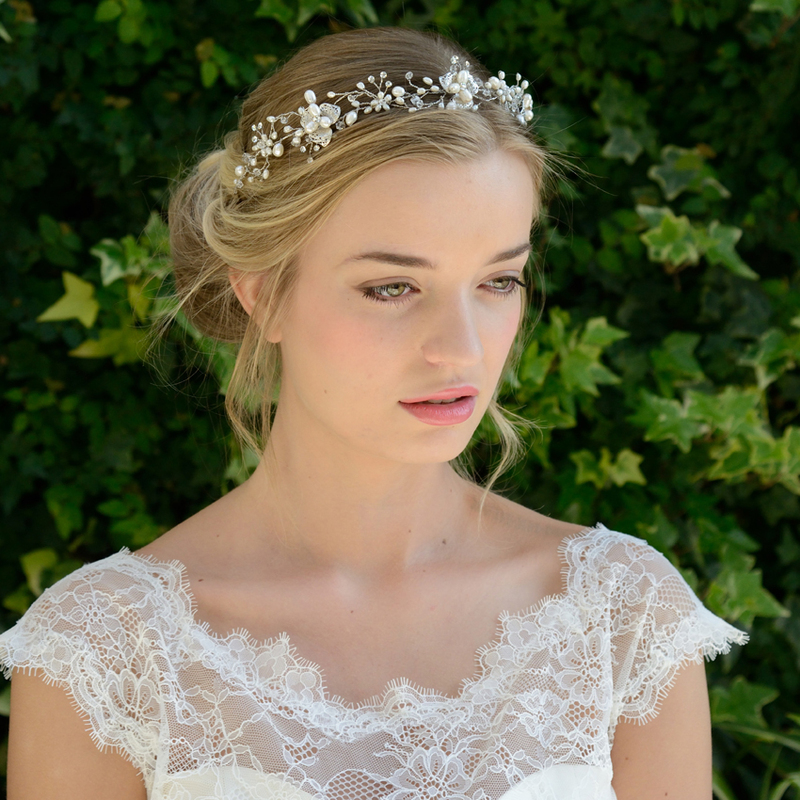 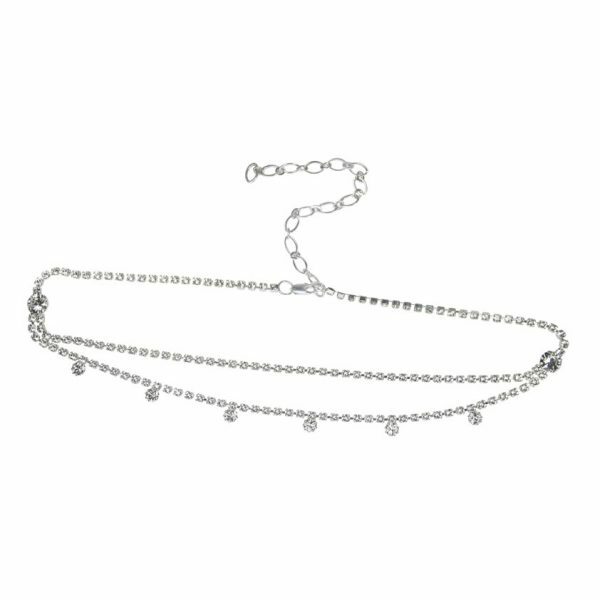 Oh so versatile and utterly pretty Amy hair vine is perfect for the bride who may change her mind at the last second! 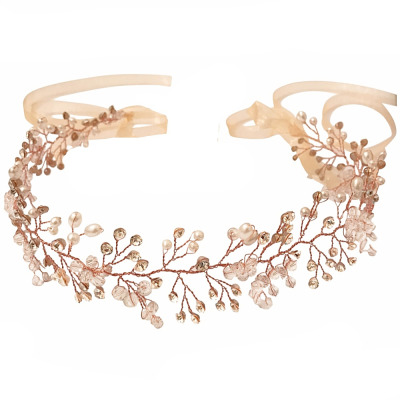 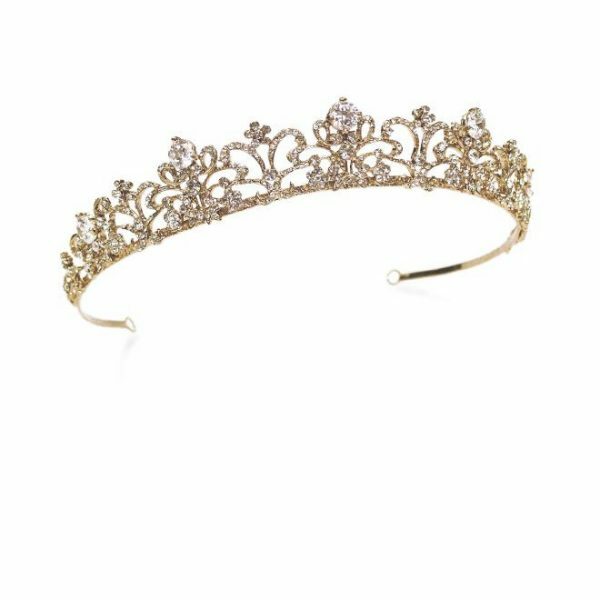 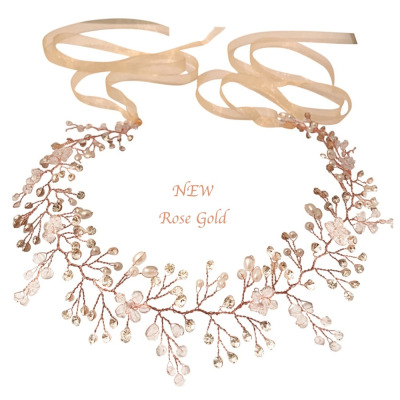 This flexible vine can be worn as a forehead band in vintage style, as a bun shaper for back detail or along the top of the head like a traditional tiara for a simple yet chic finish!